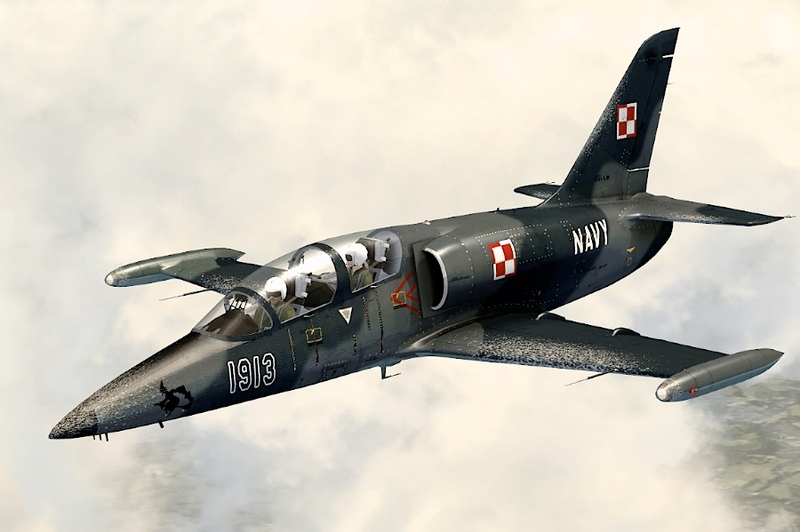 Polish Navy repaint (fictional) for Aero L-39 Albatros by Lotus Sim. 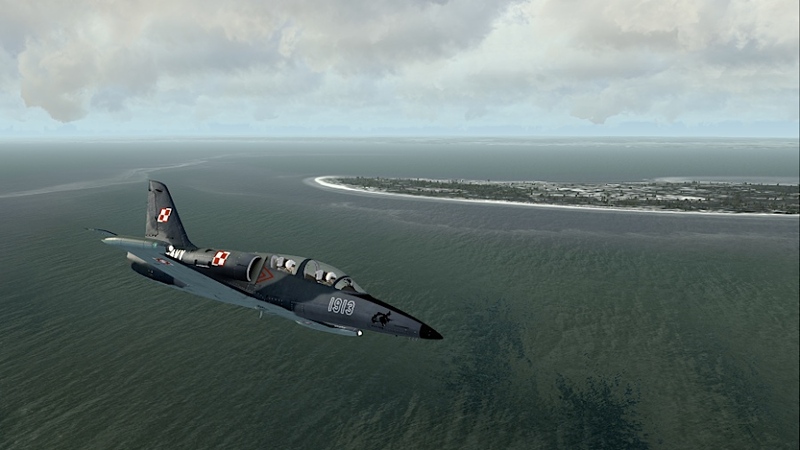 Livery is loosely based of TS-11 Iskra of the Polish naval aviation. 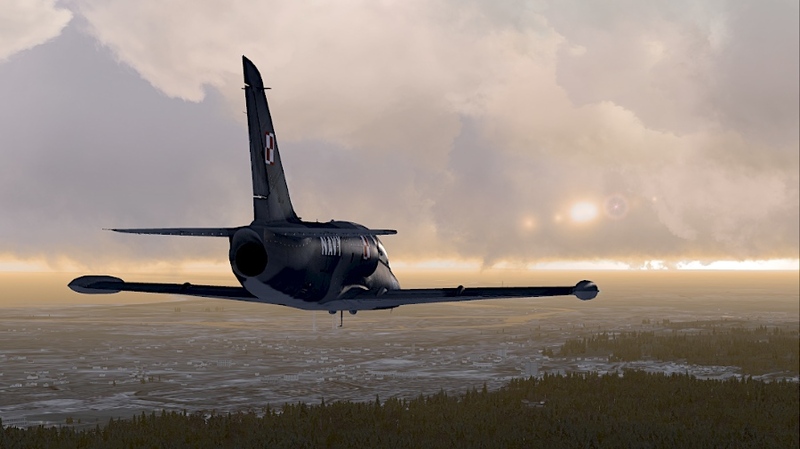 Edit aircraft.cfg file in …/Lotus L-39/ folder to include the following fltsim details after last fltsim group. Change 6, 7, 8 in [flightsim.7] and following groups for the correct (consecutive) numbers (check previous fltsim and add 1). 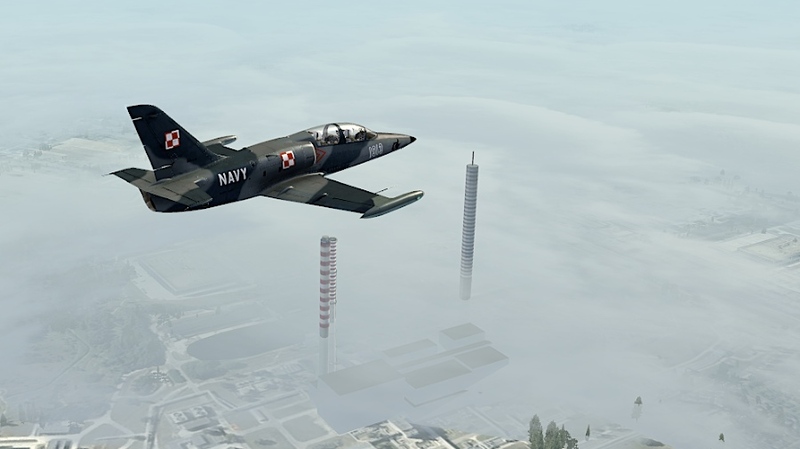 Repeat the same for FSX_Main_Folder/SimObjects/Airplanes/Lotus L-39-LR folder or any other folder of the Lotus L-39 (for example – if you wish to fly with civilian interior – use appropriate folders). 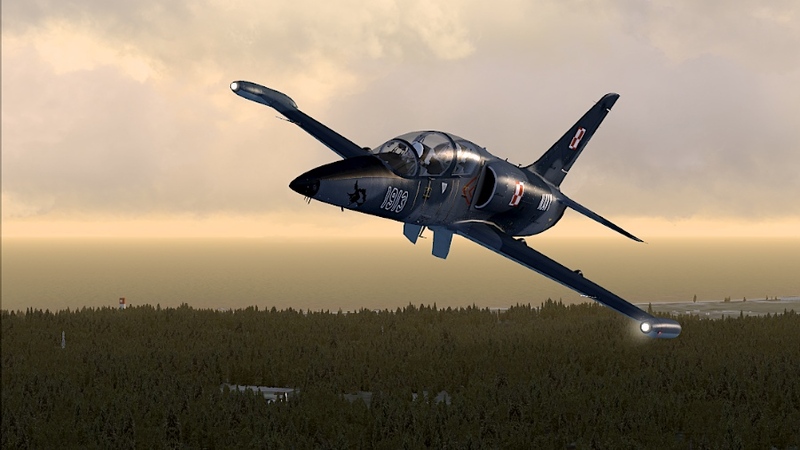 This livery was inspired by TS-11 Iskra trainers used by Polish Navy until 2003. It does not match the camouflage exactly, but I dried to keep the correct colors and style. Witch nose art was the emblem of the second element of the second flight of the 15th independent reconnaissance squadron. 1919 and 1913 (which is not available for download) are the correct numbers of naval TS-11s that used the gray and blue camo. This repaint was created with Lotus Sim Paint Kit. 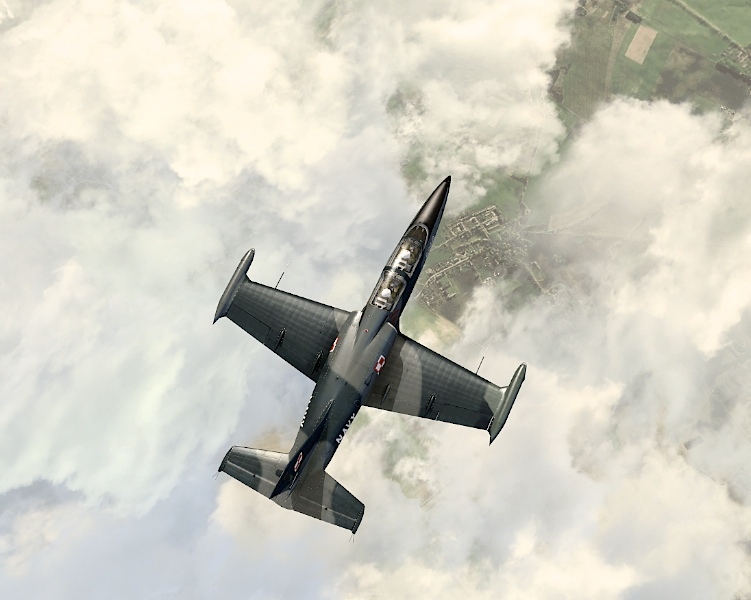 You can buy this very nice plane in the Flight Sim Store.